Our Maple Candy is still made the old-fashioned way—by hand. Click on the image to taste for yourself! 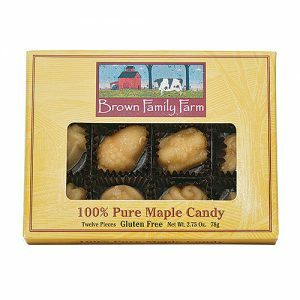 Maple candy is nature’s purest treat and a favorite confection. 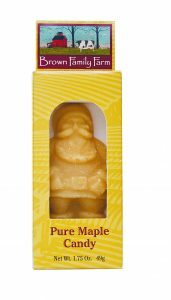 Its creamy, melt-in-your-mouth texture and sweet pleasing flavor will delight your senses. 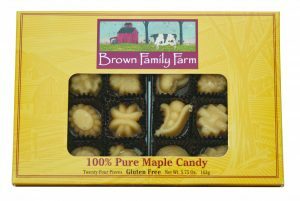 Also known as maple cream candy, our pure maple candy is made the traditional way in our very own artisan kitchen. 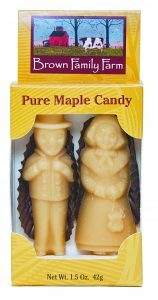 Years of old-fashioned Yankee know-how go into the handcrafting of every one of these delightful maple candy treats. 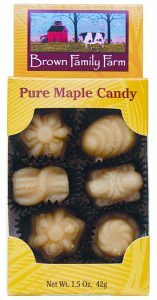 Bring back those special childhood memories; buy a box or two of our delicious maple candies and share it with your friends!